Erratic is a apt word, I think. It’s a cliché to say that we learn from our mistakes, but some kinds of errors are better teachers than others. The more immediate that feedback is, the better — especially when what’s being learned involves bodily work. The wrong note on the violin, for example, corrects the learner immediately, while she still remembers quite clearly what she did to produce it. For a teacher to come by half an hour later and say “Very good, but you were flat on that eighth-note G-sharp in the twenty-third measure,” would only draw the student’s attention again to what she should have done, not to what she did and therefore how to correct the error. In Jacques Pépin’s memoir, writing about his restaurant apprenticeship in 1950s France, he recalls his errors more vividly than his successes—such as the time when, trying desperately to be helpful, he vigorously whisked the raft into a great pot of consommé and turned the crystal-clear broth to mud. The chef’s attacking the apprentice with a wooden spoon made an impression, certainly, but nothing teaches like a ruined pot of soup: the young Pépin understood not only that he needed to leave the gently simmering broth alone, but why. Or, to take an example from a different craft, woodworking, Jim McConnell writes at the Daily Skep about splitting a chair seat while trying to assemble it that his mistake, though frustrating, was a good learning experience, and offered instruction far cheaper than paying for a class. “When you amortize failure that way,” he says, “it starts to sound like a decent investment. At the very least, I learned what the wood sounds like just one hammer blow away from CRRRRRAAACK!” And, again, the feedback was immediate and unmistakable. Had he realized his mistake only hours later, he wouldn’t remember that sound and thus be able to avoid it later on. Here lies, I think, the difficulty in learning to bake: The feedback is not immediate. Or typically not immediate; you can break a cake batter’s emulsion by beating too many eggs into the butter and sugar, or beating them in too quickly or while they’re still cold from the refrigerator, and you know instantly when you’ve done it (though not necessarily why, without a guide). Often, though, the feedback comes only after some time has passed—after the bread comes out of the oven, say, when not only might many factors have contributed to its failure to rise properly, it’s hard to recall precisely what you did at each step of the process. Eliza Leslie, who wrote those meticulous instructions for beating eggs, had promised in her first cookbook that “Experience has proved, that pastry, cakes, &c. prepared precisely according to these directions will not fail to be excellent.”1 What she could only mean, though, was that her experience had proved that when she followed those instructions precisely, her results were excellent. But mechanical emulation of precise instruction is not craft, nor is it possible to learn a craft — to become a craftsperson — by mere mechanical emulation. Consider the lengthy recipe-development process that America’s Test Kitchen regularly details. Their test cooks may make thirty bad batches of a recipe, one after another, before they get the one they want. Clearly nobody is going to do this at home; it’s a job for professionals. But what the home cook gets at the end is only the end result, with a distillation of the process and a summary of what the professionals learned — which is not quite the same as actually having what the professionals learned, which includes the experience of failure. The recipe that results is less of a black box than the recipes in most cookbooks, where the tracks are assiduously covered, but it’s valuable only if, in fact, you want to cook exactly what the authors want you to cook, if your standards are the same as theirs. I often find that however much someone tells me about how and why a recipe works I don’t really understand it until I start experimenting with it myself. Skill, in short, isn’t transferrable. If learning from other people’s mistakes were as effective as learning from your own, teenagers would listen to their parents. The master craftsman can teach, but the apprentice still has to put in the time, and if he fails on his first effort that isn’t the master’s fault; it’s just the way of things. For a novice cook, then, or one trying to learn wholly new skills, cookbooks have at best a very limited utility. And that isn’t a failure of the author; it’s a failure of the medium. Yes! I am writing fiction novels now and find that errors are so critical in creating depth and relatability in the characters. 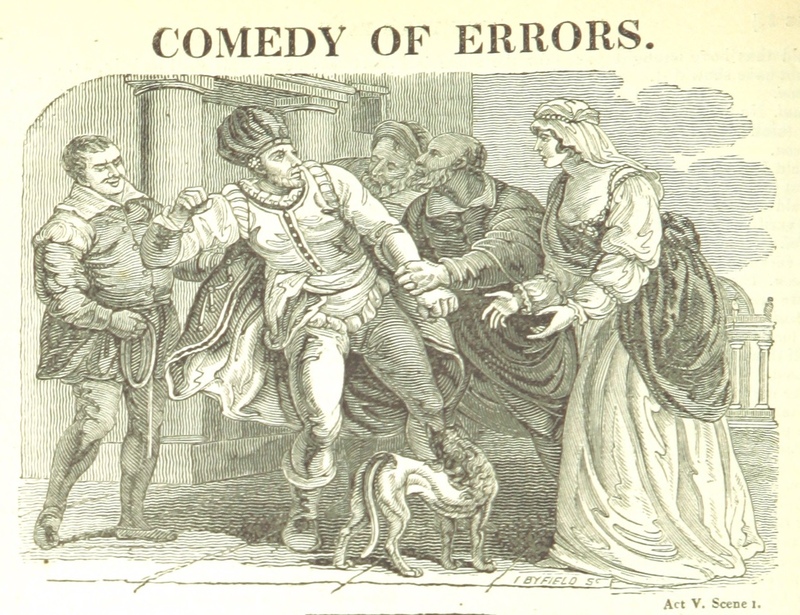 Those errors with immediate feedback become the stories we tell our friends to make them laugh. Those errors with feedback that comes after much has been invested become the tragedies we can barely bring ourselves to speak of unless it is to try to save someone we care about from our own fate. Like a boss that saves a correction only to ruin your yearly review with it, it can even create villains. Go errors! Persistent perfection is for people I don’t want at my parties.